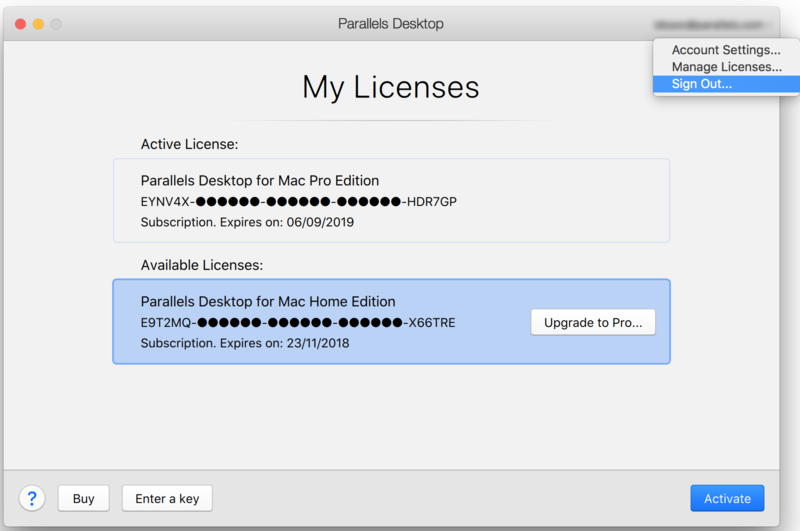 If you would like to use your Parallels Desktop for Mac license on a new Mac, you should sign out of your account in Parallels Desktop on the old Mac. Click on the Parallels Desktop menu, and select Account & License. In the activation window, click on your account email address and select Sign Out. Uninstall Parallels Desktop on your old Mac, then download, install and activate it on the new one. If your old Mac is unavailable anymore and you can't sign out, then upon activation on the new Mac you will see a warning that the license is already in use. If you click on Activate on This Mac, the current copy will be successfully activated, and the license will automatically be deactivated on the old Mac.